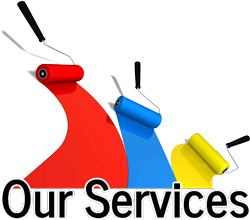 With years of experience in the home restoration field, Master Painters is a reliable company that you can put your faith in. We have an array of comprehensive services to offer and our deck sealing and restoration is amongst the most commonly sought after. With this being said, let’s take a look at the reasons for which you might want to consider getting your deck sealed and properly restored. Deck sealing is something which is going to completely restore the brand newish appeal of your front yard and hence, your entire home. You know how they say that first impressions matters? Well, it’s the same when it comes to your home. When someone walks in front of your house and he sees a deck which has almost fallen apart, this is immediately going to reflect on his opinion of the owner. And, believe us, there are better impressions that you can cause. With this in mind, after we are done sealing and restoring your deck, your entire home is going to have a brand new look – one, which is far better than what it used to be. This is something that you need to take into account. Old wood is a potential health hazard and this is something that you should definitely fix. The sealant that we take advantage of is not just going to beautify your front porch, it’s going to make sure that the wood is properly protected from warping and rotting. What is more, it’s also going to keep termites and other pest away. We have a range of different colors that we could take advantage of in order to match the overall style of your home. This is just as important as everything else and we tend to lay a lot of attention towards it. After all, what good is a front deck which doesn’t go well with the overall exterior of your home? Now, a lot of people think that this is something that they can handle on their own. While it’s true that the process seems fairly straightforward, there are quite a lot of specifications and considerations that need to be accounted for. Right off the bat, you can use oil-based and water-based sealants. Not so long ago, a lot of professionals used to use oil-based options as they were considered to be the high standard for deck sealing and the following restoration. However, as tides have turned and things have changed, more and more professionals are switching to water-based sealants because they are environmentally friendly and cautious. This is something that you need to take into account. Furthermore, we have years of experience in the field and are capable of handling everything as per the highest industry standards. We are going to take up the project and finish it within reasonable time limits in order for you to be able to get back to your life as quickly as it’s possible. Give us a call today in order to get a quote!